247: The Ultimate Tribute to Tom Petty & the Heartbreakers. 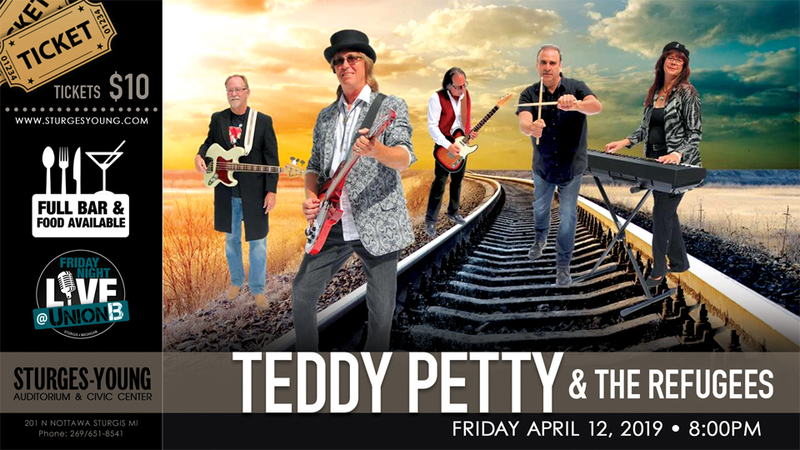 Be ready to feel all the power and passion that went into over 30 years of Tom Petty’s best selling songs. This show includes all the look and feel of Tom Petty, presented by top industry professionals. From the smooth guitar tones and layered vocals, to the signature Rickenbacker. Teddy Petty & The Refugees flawlessly capture the essence and power of Tom Petty and The Heartbreakers.